Texas abortion law upheld by Fifth Circuit; clinic closures certain. A pro-choice rally in Texas. These demonstrators will likely be disappointed to learn that the Fifth Circuit has upheld Texas’ draconian new abortion law. On Tuesday, the 5th Circuit upheld the constitutionality of a stringent Texas abortion law that could shutter nearly half of the state’s few remaining abortion clinics. The law requires these clinics to meet ambulatory surgical center standards, and mandates that abortion providers have admitting privileges at nearby hospitals. Adapting to these strict standards may put all but seven abortion clinics in the state out of business. The ruling is unsurprising given the extremely conservative 5th Circuit’s record on abortion rights. In 2014, the court allowed the law to go into effect while it considered the legal challenge, only to see its decision temporarily stayed by the Supreme Court. Now that the 5th Circuit has upheld the restrictions, the plaintiffs will probably appeal the ruling to the Supreme Court. The justices may elect to put the 5th Circuit’s decision on hold while they consider whether to take the case. 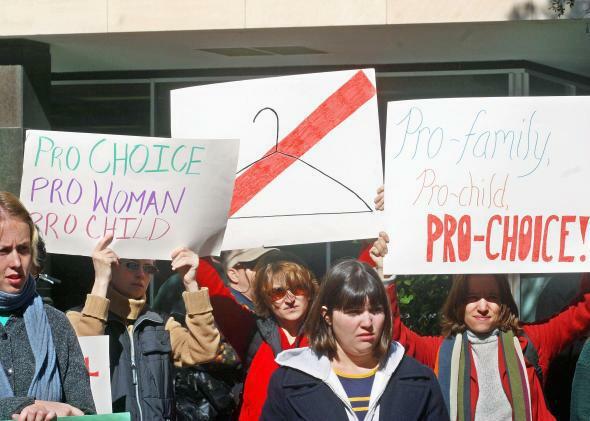 In upholding the Texas law, the 5th Circuit relied heavily on a rather cramped reading of Planned Parenthood v. Casey, the 1992 decision which held that the right to have an abortion is a component of the “liberty” protected by the 14th Amendment. Casey declared that no state may place an “undue burden” on a woman seeking to exercise that right. The 5th Circuit held that forcing some women to travel nearly 150 miles to obtain an abortion “is not an undue burden under Casey.” Further, the court found that the regulations—which include exacting standards for doorways and ventilation systems—were “reasonably related to maternal health.” Thus, the law did not violate women’s constitutional rights. Notably, the court exempted a clinic in McAllen from the new restrictions. The court explained that, if the McAllen clinic closed, women in the Rio Grande Valley may have to travel 235 miles to obtain an abortion—and that nearby hospitals appeared to deny McAllen doctors admitting privileges specifically to prevent them from being legally qualified to perform abortions. However, the court was not so kind to women in El Paso. Under the new law, these women will have to travel 550 miles to the nearest Texas abortion clinic. The court’s advice to them? Get your abortion in New Mexico.